Benjamin Schmid, from Vienna, won 1992's Carl-Flesch Competition in London, where he also won the Mozart, Beethoven and Audience Awards. Since then he has appeared on the most important stages of the world with renowned orchestras such as the Vienna Philharmonic, Philharmonia Orchestra London, Petersburg Philharmonic, Amsterdam Concertgebouw Orchestra, Rotterdam Philharmonic Orchestra or Tonhalle Orchestra Zurich under the baton of Christoph von Dohnányi, David Zinman, Seiji Ozawa and Thomas Sondergard , Valery Gergiev or Ingo Metzmacher. His soloistic quality, the extraordinary breadth of his repertoire - in addition to the usual works such as the violin concertos of Hartmann, Gulda, Korngold, Muthspiel, Szymanowski, Weill, Lutoslawski or Reger - and especially his improvisational skills in jazz make him a violinist with incomparable Profile. Benjamin Schmid's 50 CDs have been awarded several times with the German Record Award (the only violin in the categories classical and jazz), Echo Klassik Prize, Grammophone Editor's Choice or the Strad Selection. He teaches as a professor at the Mozarteum in Salzburg and gives masterclasses at the University of Bern and in worldwide masterclasses. 2016 acted as chairman of the jury of the International Mozart Violin Competition Salzburg. 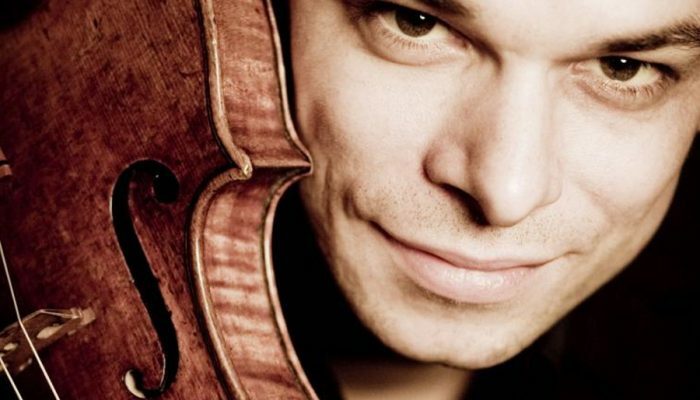 About Benjamin Schmid several documentaries and concert films were filmed, which captured the outstanding artistic personality of the violinist in a worldwide TV broadcast. Benjamin Schmid received the "International Prize for Art and Culture" in his hometown Salzburg, where he lives with his wife, the pianist Ariane Haering, and their four children. Benjamin Schmid's "Summer Night Concert" with the Vienna Philharmonic under Valery Gergiev, this time with the Violin Concerto by Paganini / Kreisler, was broadcast live on TV worldwide and is available on DVD / CD at Deutsche Grammophon Gesellschaft. Benjamin Schmid is one of the most important violinists in the book "The Great Violinists of the 20. Century, "by Jean-Michel Molkou (Verlag Buchet-Chastel, 2014) portrayed.